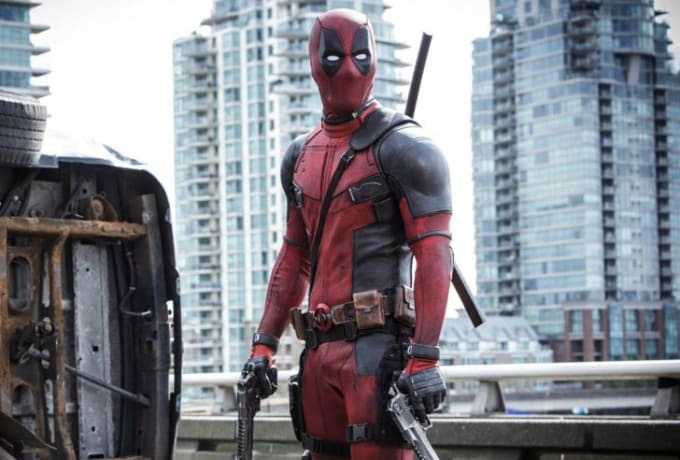 Much like Deadpool himself, the producers of the film Deadpool couldn&apos;t keep their mouths shut at the media day for the film&apos;s Blu Ray and DVD release this week. As HitFix reports, screenwriters/ producers Rhett Reese and Paul Wernick attended a roundtable discussion at the event where they explained they weren&apos;t supposed to talk about a possible sequel, then went right on to talk about a possible sequel. When reporters asked about the sequel, which was hinted at as far back as the post-credits scene directly after the first movie, Wernick hesitated. "I don&apos;t think the sequel&apos;s officially been announced. But...yes," he said. "I mean, yeah, I don&apos;t know, yeah, I&apos;m sorry, we&apos;re not supposed to be talking about a sequel. So...there is no sequel. It&apos;s kinda like the Matrix. There is no...glass on the table right now, none of it&apos;s here." Reese just went for it. "We&apos;re opening up to some fun choices because we aren&apos;t really constrained as much," said Reese when asked directly about the follow-up. "We can go almost wherever we want. There&apos;s a massive body of material in the comics. We have our own ideas, Ryan has his ideas, and so much of the fun of writing Deadpool is the freedom, the freedom to break rules, the freedom to do crazy things, and I think the sequel probably provides even more opportunity than the first movie to do that." When asked about Cable, the mutant who has been hinted at as being a character in the inevitable sequel, Reese had this to day. "...There&apos;s a lot of fun in that he&apos;s very serious and he does take on more serious weighty issues than Deadpool&apos;s used to taking on, so I think there&apos;s a juxtaposition there that can be fun. The guys also explained that despite the first film&apos;s huge success at the box office, they have no desire to "raise the stakes" or "go bigger" by inflating the budget to some monstrous amount north of $200 million. They&apos;d rather stick to the feeling that the first movie provided on a budget of around $58 million (pretty small by blockbuster standards). So while technically the sequel is still purely hypothetical, this movie is happening. Especially since Ryan Reynolds reportedly already negotiated his deal for the follow up.